Many Indians wear copper bracelets. Both men and women wear them. Wearing copper seems to have a therapeutic effect on the body and that is why since centuries people wore copper ornaments. If you are allergic to copper, you can skip using it but otherwise, copper seems to boost immunity and offer several other health benefits too. Very less scientific evidence is available explaining the benefits. But still, there are no side effects of wearing a copper bracelet unless your skin is allergic or sensitive to copper. Here are some more facts. A pure copper bracelet has micro minerals such as iron and zinc. When they combine with sweat on the skin, they are absorbed into the blood stream in appropriate quantities. This gives rise to mineral supplementation, a fact confirmed by Scientia Press researchers. Those who are anemic or have problems of iron and zinc deficiency can consider this simple and effective alternative treatment methodology. Theoretically, minerals absorbed through the body’s sweat are absorbed better than minerals taken through supplements. When minerals are absorbed through sweat, they enter the bloodstream directly, without going to the liver. Copper ring benefits astrology advocates the same – wear copper and let the body absorb it rather than forcing the body to absorb it. Deficiency of copper and its properties may cause aortic aneurysms. Studies show that lack of copper can cause an imbalance in the body which leads to increased blood cholesterol levels. The cumulative effects of this are damage to the heart and arteries. Copper is known to cross-link fibers, collagen, and elastin to be specific, and without this cross-linking, the onset of aortic aneurysms is rapid. Considering that elastin fibers encapsulate major portions of the aorta and surrounding regions, copper is a bare necessity to ensure that these fibers remain intact. So shopping for a copper bracelet online and wearing it is a simple and long-term, slow but sure process to ensure long-term cardiovascular health. Copper has some other benefits too. It can reduce the toxic effects of other metals, it can trigger certain enzymes in the body to produce hemoglobin. 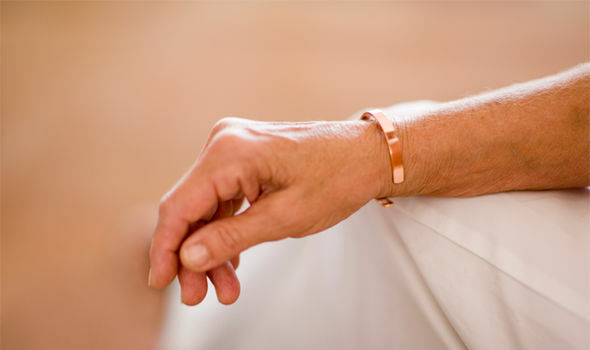 Copper bracelets also seem to make the person wearing them feel better. Copper can also slow down the aging process as it is high in antioxidants.